An event on 11 April 2018 hosted by the United Nations Correspondents Association at UN headquarters in New York marked the publication of the book A World Parliament: Governance and Democracy in the 21st Century, authored by Jo Leinen, a Member of the European Parliament, and Andreas Bummel, Director of Democracy Without Borders. On more than 400 pages the book describes the history, today’s relevance and future implementation of the idea of a democratically elected world parliament and explores how world governance may be improved in view of the planetary challenges of the century. Following the emergence of democracy in the ancient Greek city states and its expansion to the modern territorial states in the 18th century, the authors argue that the next step towards global democracy is now imminent. Achieving a peaceful, just and sustainable world requires an evolutionary leap forward to a federal global government. 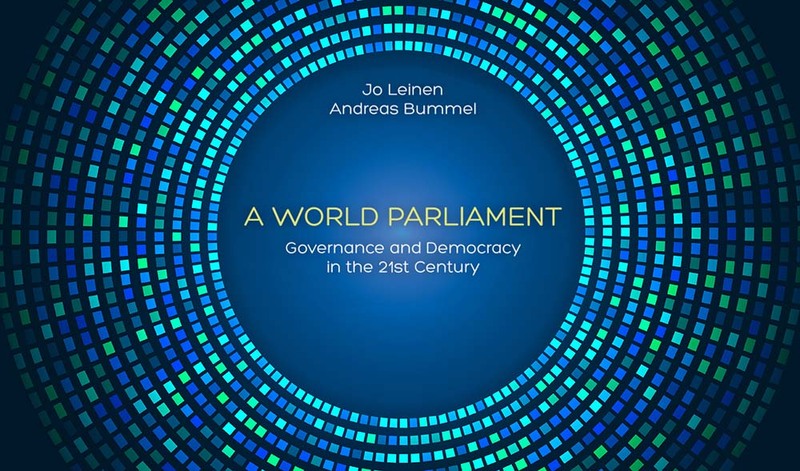 According to Leinen and Bummel, the creation of a democratic world parliament is the centrepiece of this project. The first part of the book explores the philosophical foundations of cosmopolitanism and a world parliament since ancient times and traces the history of the idea and of the attempts to bring it about from the French Revolution to the present day. The second part sets the issue in the context of global challenges such as climate change and planetary boundaries, the management of public goods, the stability of the financial system, combating tax evasion, terrorism and organized crime, disarmament, and protecting human rights. The construction of global democracy also plays a decisive role in combating hunger, poverty and inequality and in global water policy. Rapid developments in the fields of bio- and nanotechnology, robotics and artificial intelligence are giving rise to fundamental questions that humanity is not institutionally prepared for. There is an overarching narrative that describes the dysfunctions and failings of today’s international order. At the same time, the alternative of a democratic world order and its underlying principles is presented in detail. The authors stress that there is a right to democracy that applies not only to the national but also to the global level. Against the backdrop of the power structures of the transnational elite, the book argues for the implementation of a new global class compromise and traces the long-term development of a planetary consciousness and global solidarity. Lastly, the third part discusses a possible path and scenarios towards the realization of a world parliament and the transition to a democratic world order. More information and the table of contents is available here. 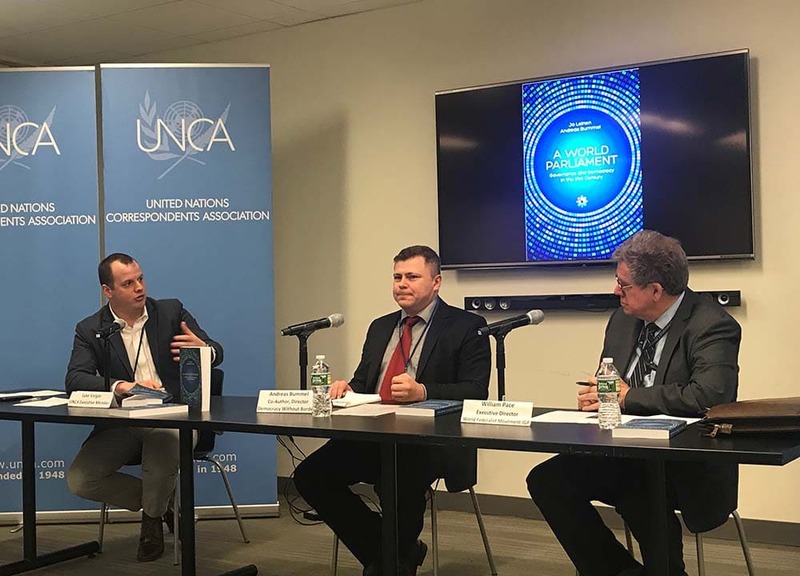 The book which was published by Democracy Without Borders with support of the Foundation For European Progressive Studies, among others, can be ordered in print and ebook edition on Amazon or any other retail and online bookstores around the world.